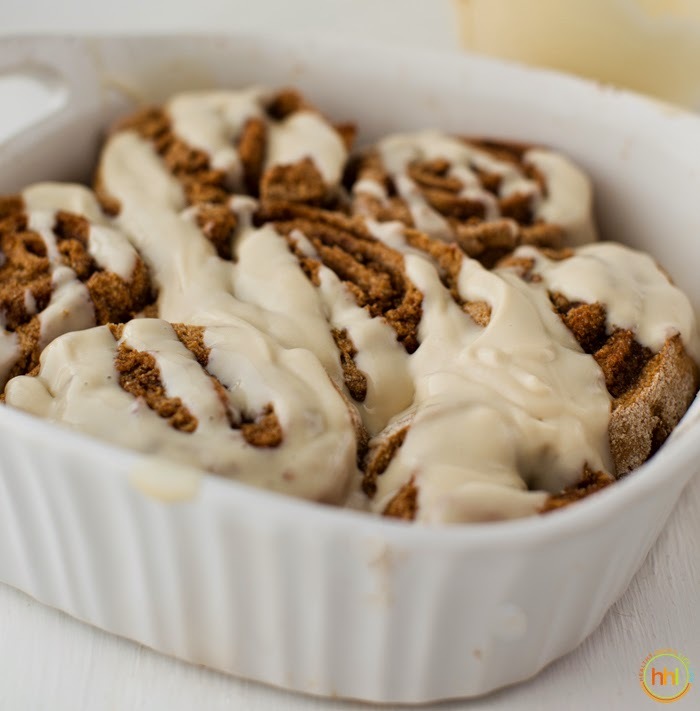 Yeast-Free Vegan Cinnamon Rolls with Cream Cheese Frosting. It was noon on a Sunday morning. Finally making it into the kitchen in the PM hours meant one thing. It was too late for morning cinnamon rolls. Or was it? 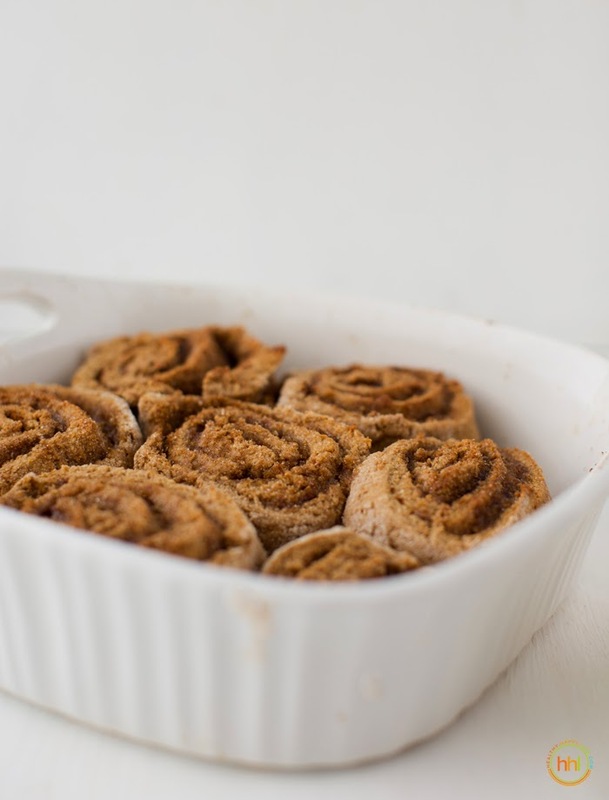 So on I went, following my cinnamon roll craving and popping these rolls into a hot oven around 12:30PM, and enjoying them by 1:30pm .. because one simply has to do the full photoshoot thing before consuming goodies in this household. But I learned one thing today. 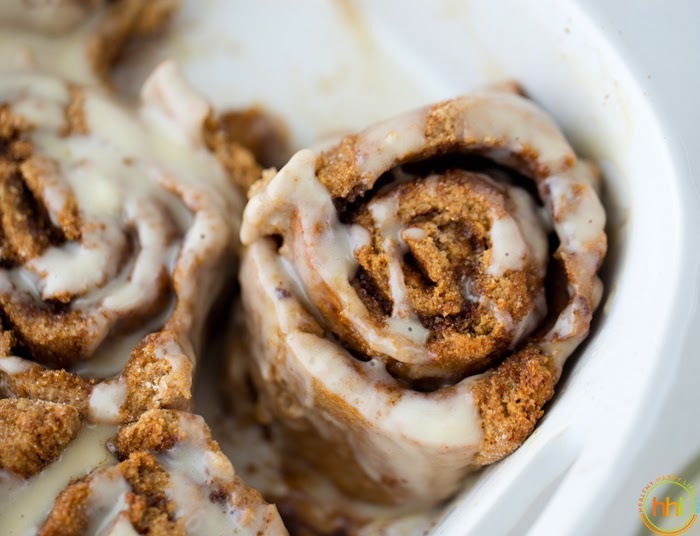 It is never too late for morning Cinnamon Rolls. About the Rolls. So these rocked my Sunday morning. Paired with some silver needle white tea, all grassy and floral, these sweet tender rolls were easy to devour. And for the two of us there were plenty to nibble on in the afternoon and for dessert and leftovers for tomorrow morning. 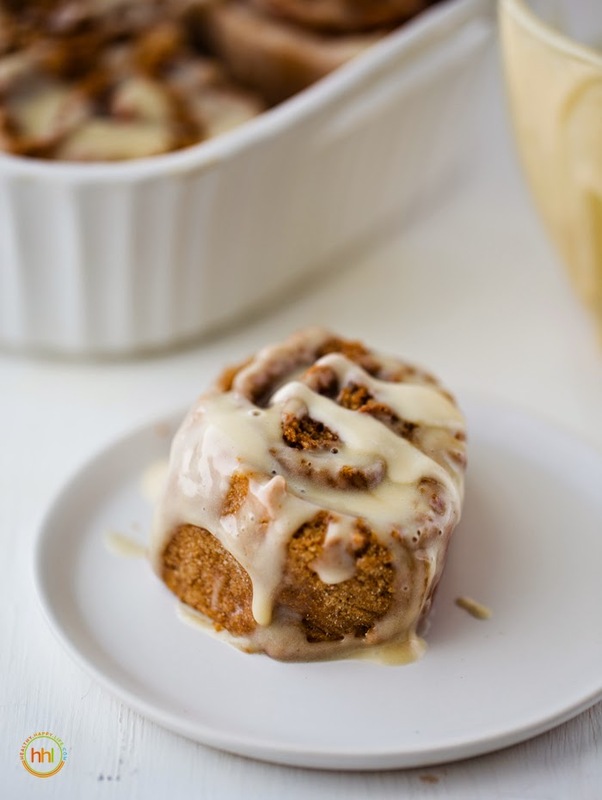 I think (Sunday leftover) Monday morning cinnamon rolls are my new fave thing. The flour I used is a unique variety. It is by One Degree Organics and a sprouted grain whole wheat. You could easily sub with a WIDE variety of flours. 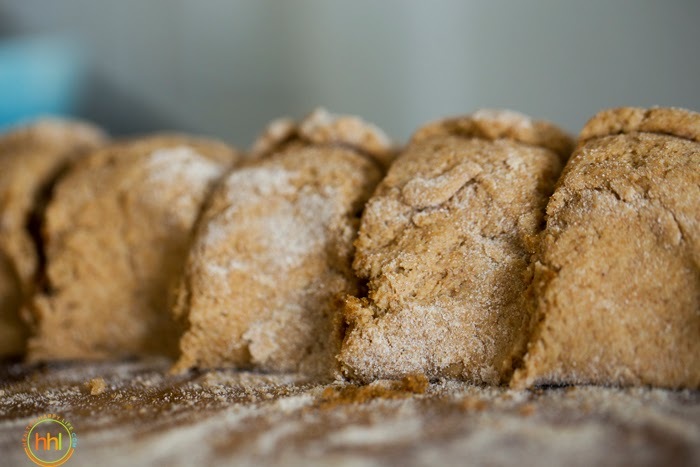 Anything whole grain, sprouted grain (spelt, another wheat brand and more). 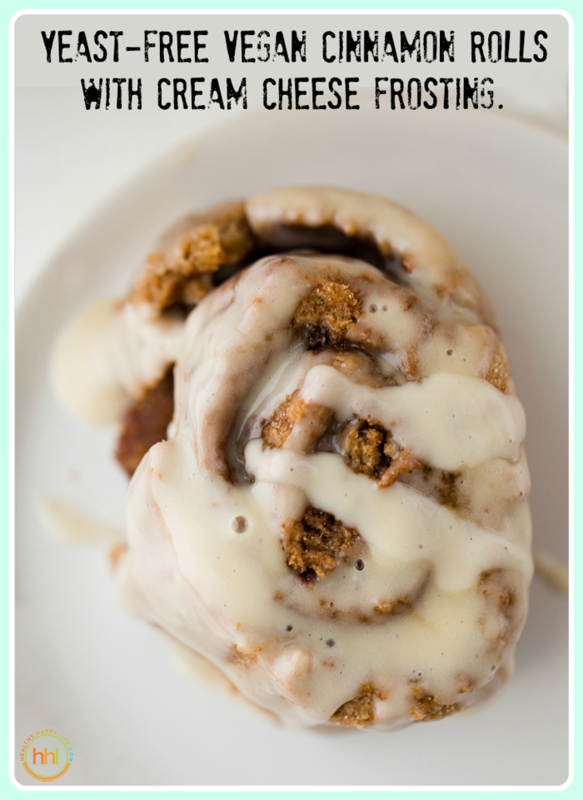 If you are using white or all purpose flour I would add 1/4 cup to the dough, or even better add in a 1/4 of bran or oat flour just to give it a bit of a nuttier texture. I really love the flour brand I used, so if you can find it at Whole Foods, or online, try it. I used a combo of coconut oil and Earth Balance. But you could use just one or the other. If using only vegan butter, omit 1/4 tsp of salt. If using all cconut oil, add another 1/4 tsp salt. So enough chit chat. Lets roll these ladies out.. Roll the dough. Slice the dough. Place and bake. Ready to be popped in a steamy hot oven.. 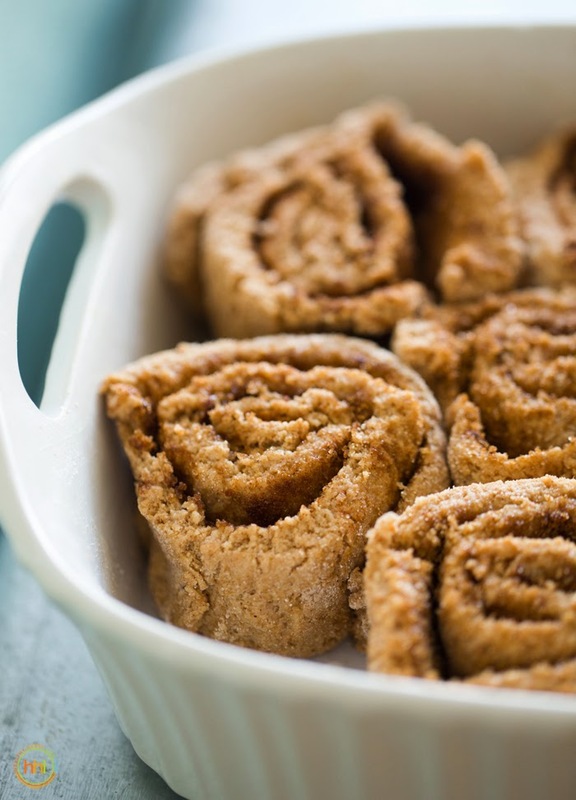 These bake up golden and light despite the fact that I used sprouted whole wheat flour.. 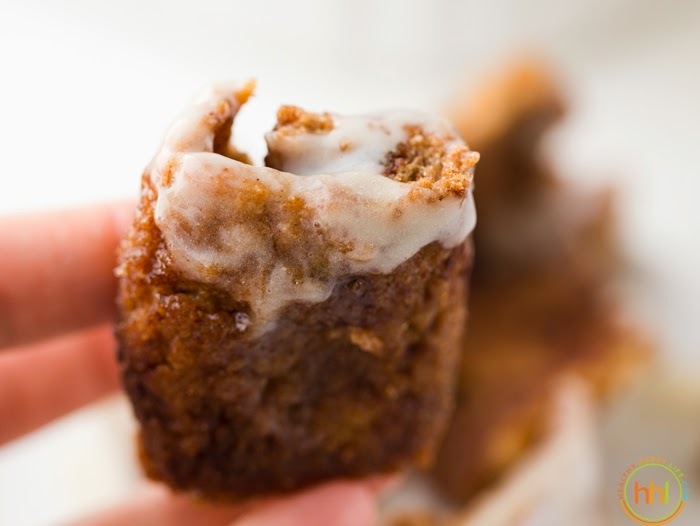 Crisp, toasty outsides, moist and gooey insides. Like I said. Warm. And. Gooey. 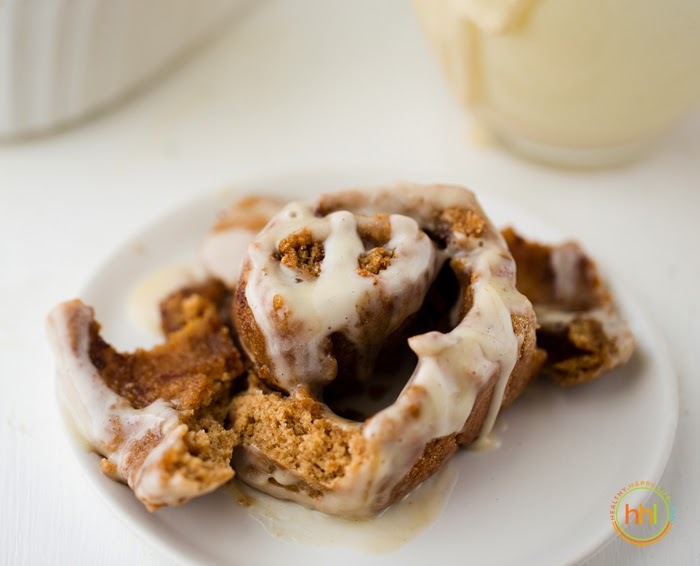 I think you will agree, this middle piece is always the BEST part of a cinnamon roll. 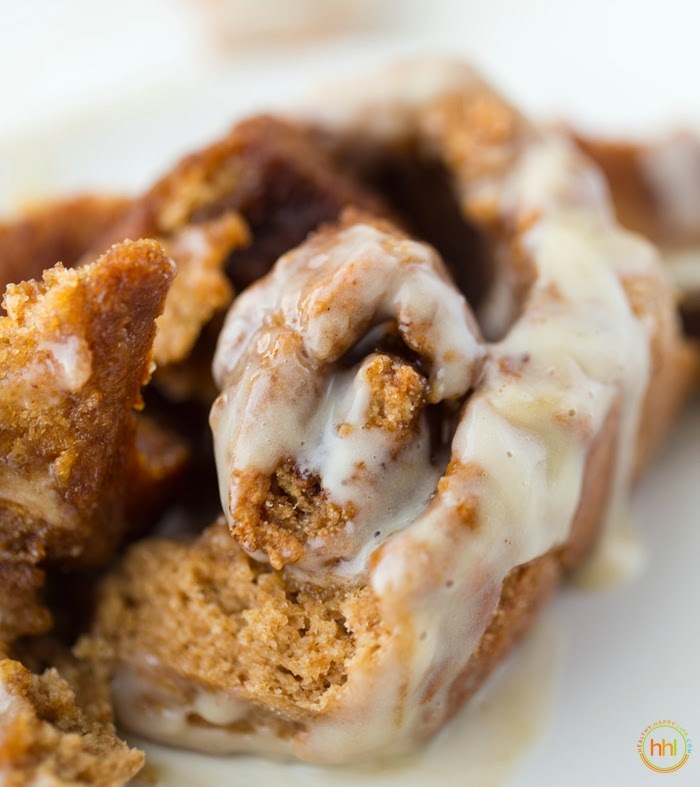 These yeast-free, vegan, sprouted grain cinnamon rolls are super easy to whip up, tender and fluffy and totally irresistible! Creamy dairy-free cream cheese frosting on top. Preheat oven to 400 degrees. Grease a round or square 7-9" baking dish. Add all dry ingredients to a large mixing bowl and stir. Add all wet ingredients to a blender and blend until smooth. Pour wet into dry bowl and stir well until a dough forms. Optional: place dough in fridge for 5 minutes to cool and firm up a bit if your kitchen is on the warmish side. You could also add in one additional pinch of flour if the dough seems too sticky. Sprinkle down 2 tbsp of flour onto a surface to roll out the dough. 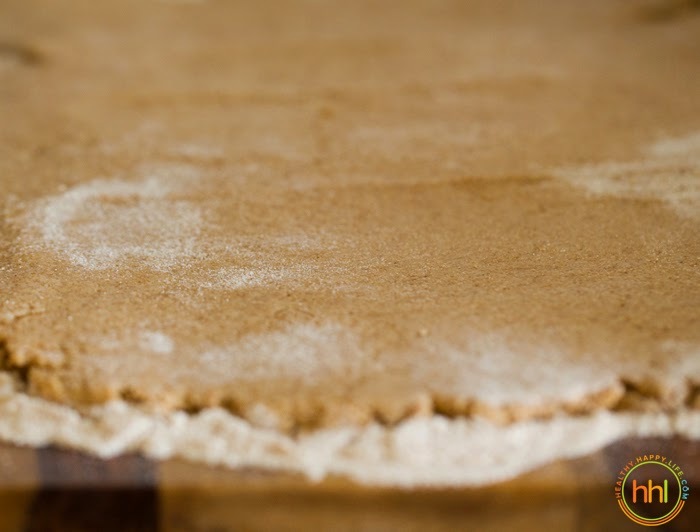 Using a rolling pin, roll out dough until about 1/4 inch in thickness. 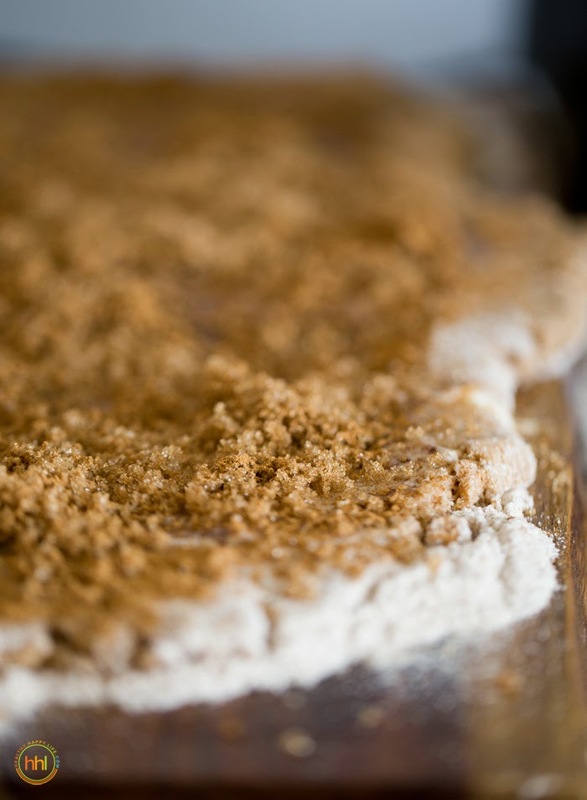 As thin as you can get without compromising the dough and making it split apart. Pour the melted vegan butter over top the dough and evenly distribute it by brushing it or spreading it with your fingertips. Sprinkle the sugar evenly over the vegan butter - all over the dough surface. 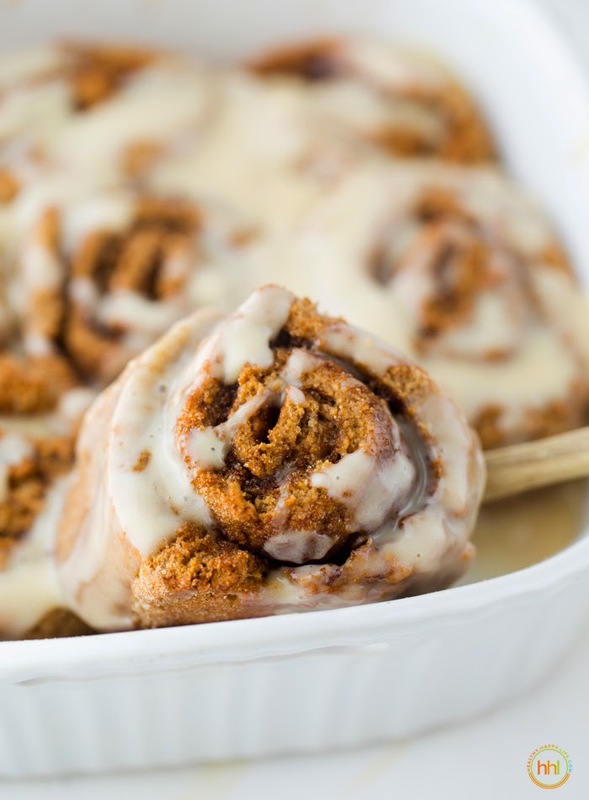 Follow up with the cinnamon, heavily sprinkling it over entire surface of dough so that it covers the surface in a cinnamon blanket. Now carefully roll up the dough using your fingertips and palms of your hands for balancing the dough as you roll. Once tightly rolled up, slice the roll into 6-7 1 1/2 inch thick rounds. Place the rounds in the greased baking dish. Add the bits of coconut oil on top of the rolls. Bake the rolls at 400 degrees for 25-35 minutes. You want the puffy, lightly browned on top and cooked all the way through. You can test the done-ness just by feeling the edge of the rolls, when an outer roll's edge is hard and a bit toasty in texture, they are done. You want the outer edges of the rolls to be a bit firmer than the inside edges of the rolls. I personally never like rolls that are too under-done, so I lean more towards the 35 minute mark. But if you like your rolls very soft they may be ready a bit sooner. 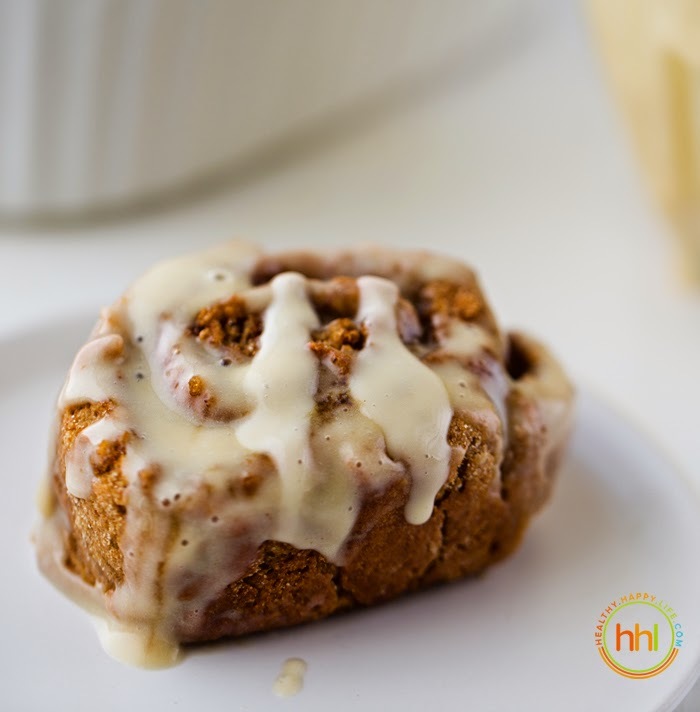 While the rolls are baking, add all frosting ingredients to a blender and blend for 1 minute until silky. 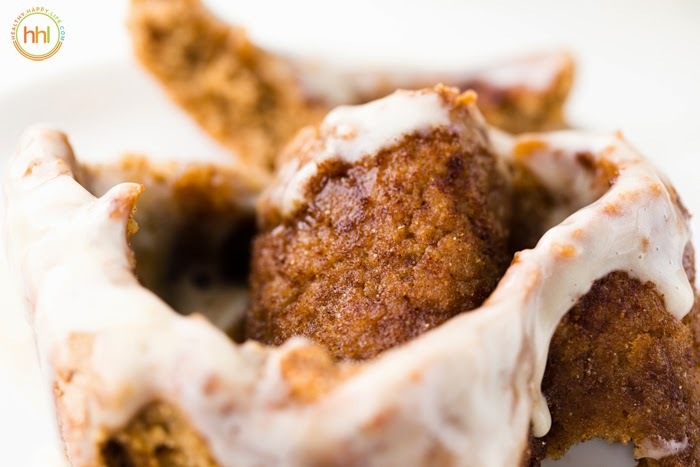 Pour frosting into a small bowl and place in the fridge. Note: I decided to halve the recipe for the frosting, since I didn't use all of it. 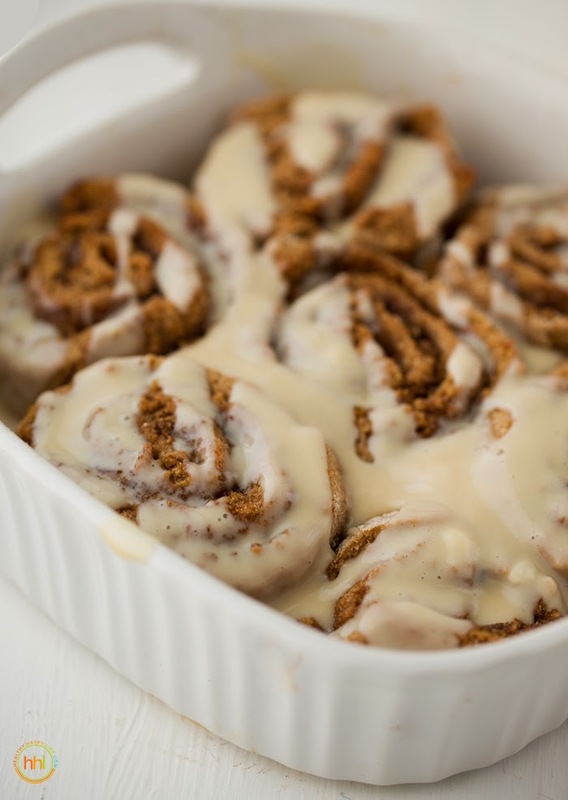 But if you want extra frosting, simply double the recipe here. 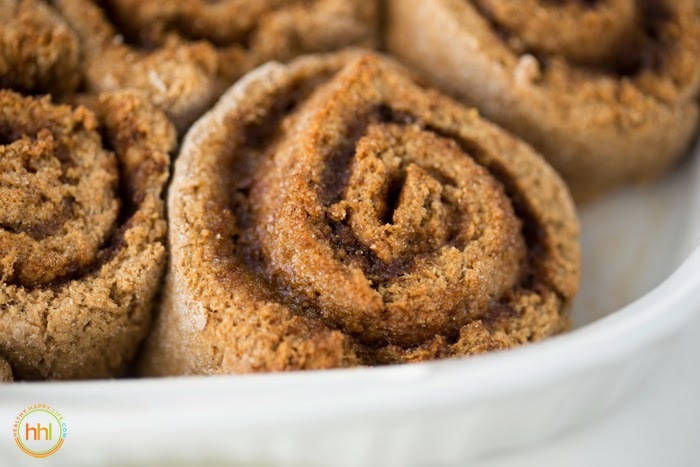 Pull rolls from oven and let them cool for 5-10 minutes before drizzling the frosting over top to serve.